Pros: A very capable cast and director polish up this piece to within an inch of its life. Cons: The comedy of manners is not usually known for its intricate plots, but this one mostly misses the genre’s witty dialogue as well. 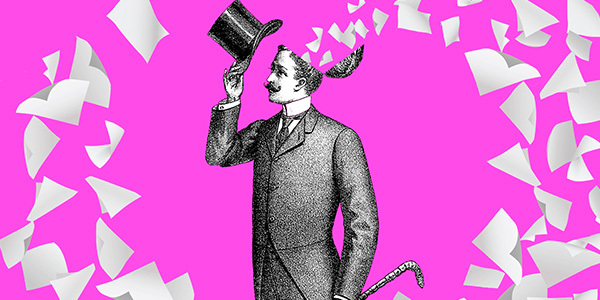 This is the inaugural show in a season of plays that, like the building the Finborough Theatre occupies, celebrate their 150th birthday this year. Unlike the theatre itself, which is going strong on a mix of lesser known revivals and new writing, Cyril’s Success does rather show its age. Henry J. Byron’s play, originally written in 1868, has not been revived since 1890. Finborough Artistic Director Neil McPherson usually has a good eye for an unjustly neglected gem, and I’m sure many worthy plays get overlooked when it’s so much less risky to churn out yet another The Importance of Being Earnest. But then again, not every play is The Importance of Being Earnest, and I can’t help but suspect that the fact a certain Oscar Wilde came along and wrote similar, but much funnier plays was one of the reasons Cyril’s Success was fairly short-lived. Under the capable direction of Hannah Boland Moore, the cast try their hardest to extract every bit of humour from the text, and mostly succeed at doing so. I don’t think anyone would accuse the dialogue of being sparkling, but in the hands of these performers we probably got as close as it was possible to get. Special mention must go to Susan Tracy as the formidable Miss Grannet, Catherine’s old tutor, and Lewis Hart’s sweet but highly strung Titeboy, one of Cyril’s friends. Many of the best lines come courtesy of embittered literary critic Mr Pincher, and Stephen Rashbrook delivers them with evident enjoyment. The moment he tells Titeboy that, should the latter ever decide to write a book, “I will not only review it favourably, but damn it, I’ll read it” is one of the highlights of the show. Booking Until: 20 February 2018, Sundays – Tuesdays only.